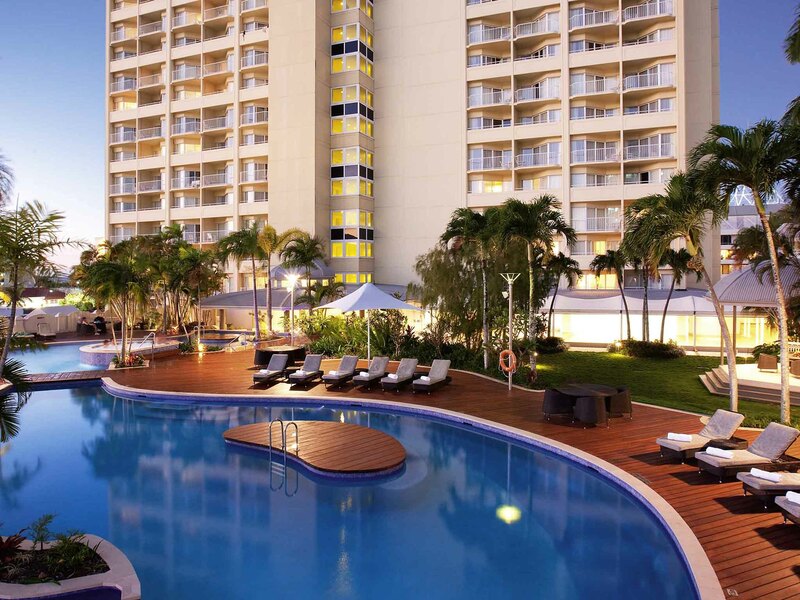 The Pullman Cairns International is perfectly located in the very heart of tropical Cairns in far north Queensland. It is just moments from the city’s most popular attractions, best shopping spots, world class restaurants and cafes. 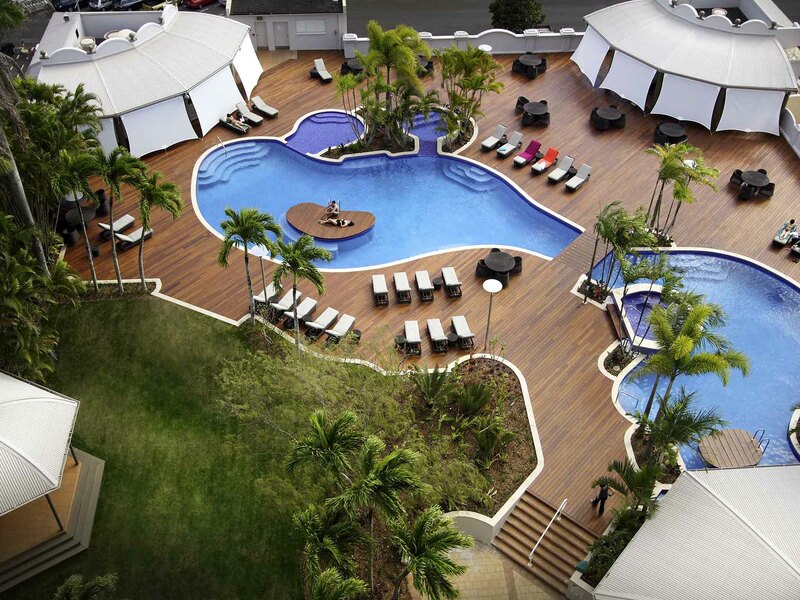 Pullman Cairns International boasts two swimming pools and spas, beautiful tropical pool deck, well-equipped gymnasium and two saunas. Coco’s Restaurant on the Lobby Level is renowned for its daily hot buffet breakfast and nightly Chefs Choice Seafood Buffet. Sunday Brunch, High Tea and Business Lunches are also specialities. 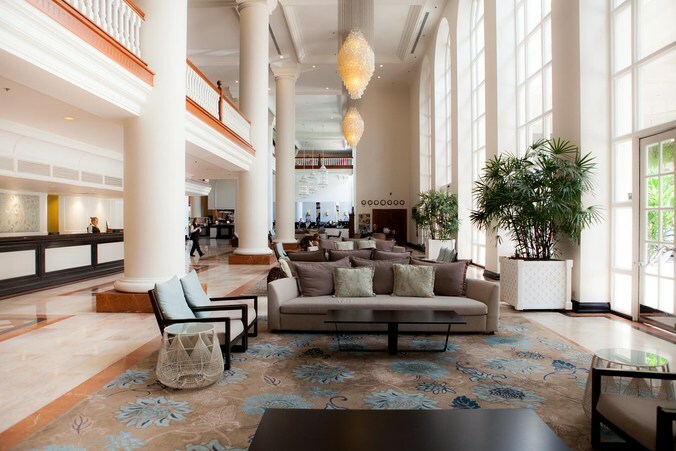 The Lobby Bar is also the perfect place to meet for an impromptu business meeting or a pre-dinner cocktail.